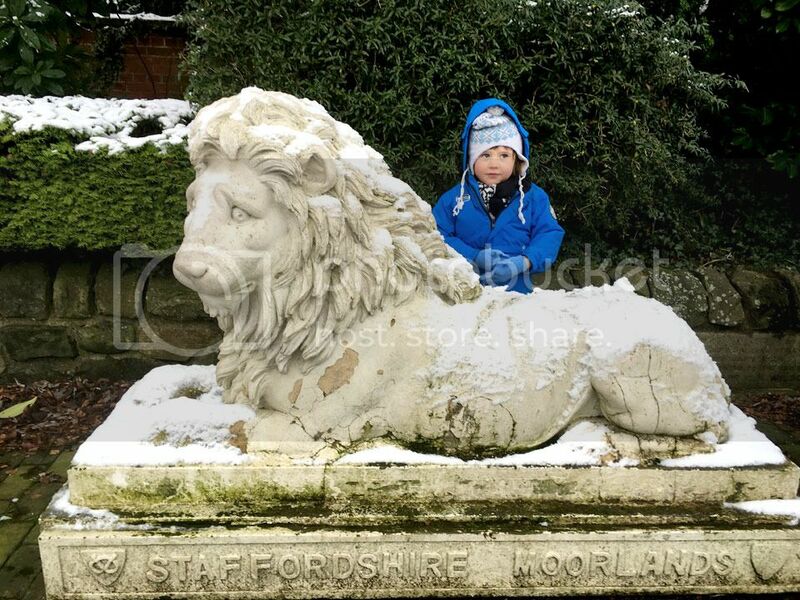 Maybe he's a bit cold with his dusting of snow or perhaps my son is scaring him but doesn't this stone lion look a bit worried? This sweet looking lion was a gift to the town of Leek in Staffordshire, originally commissioned by Charles Talbot 15th Earl of Shrewsbury (b. 1753) for the Alton Towers estate. He was sold in the 1920's and at some date later came to 'guard' the council offices.